Born September 11. 1930 in Bergen, Norway. He started playing soccer at an early age, both on school teams and later on competition youth teams in Norway. 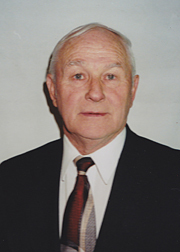 He immigrated to the United States in late 1948 and settled in Salt Lake City. In 1949 he joined the Vikings S.C. and was instrumental in rebuilding the club after World War II. Playing for the Vikings S.C. during his entire soccer career in Utah, the club won the State Championship five times, the Daynes Challenge Cup twice, and retired the Van Dongen Cup after winning it five times. During this time Jan was selected to the Association’s All-Star team for many years. He retired from active play in 1975.